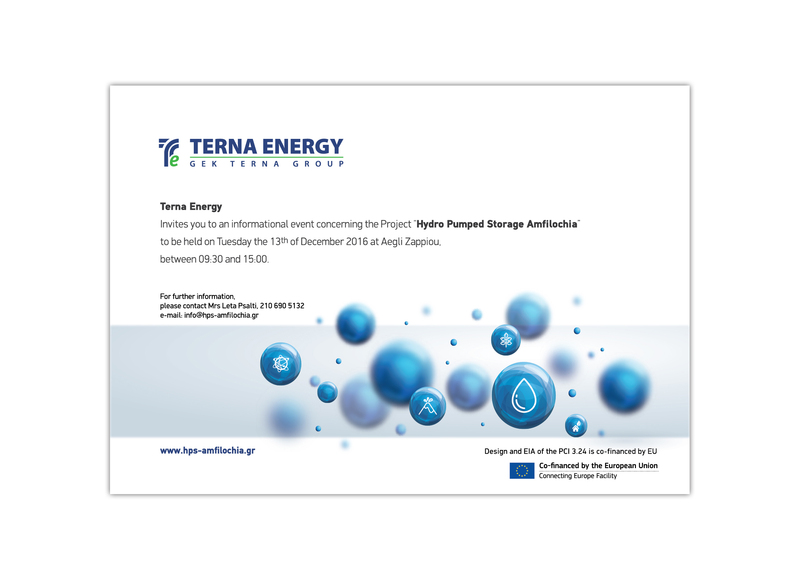 TERNA ENERGY, organizes on Tuesday, 13th of December 2016, 09:30 – 16:00, at Aegli Zappiou, informative event about the “Hydropumped Storage in Amfilochia” Project. 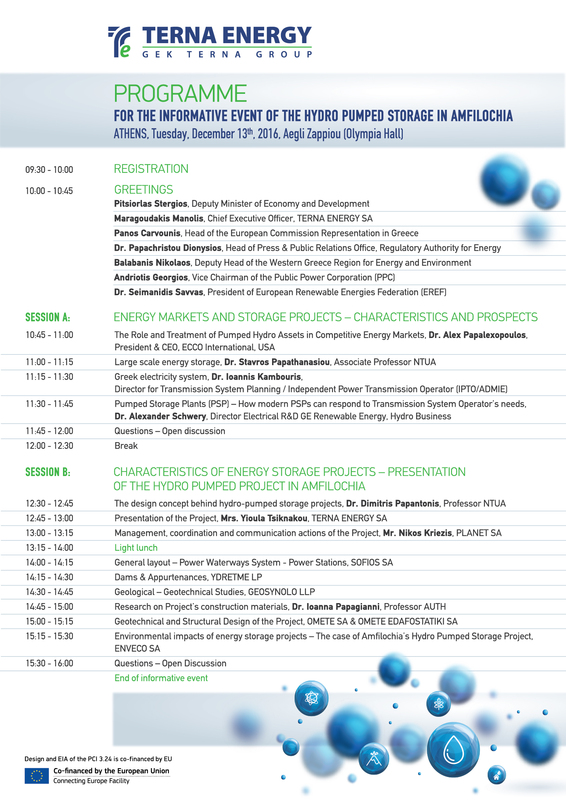 The event will be open to the public and aims at presenting the project and its expected benefits. The open character of the event seeks to inform the public and instill its active participation in the design process and licensing of the project. Two former informative events for the project have already been successfully realised in the Municipality of Amfilochia and in the Municipality of Agrinion. Subscribe to our ΝewsLetter and stay updated on the latest developments.